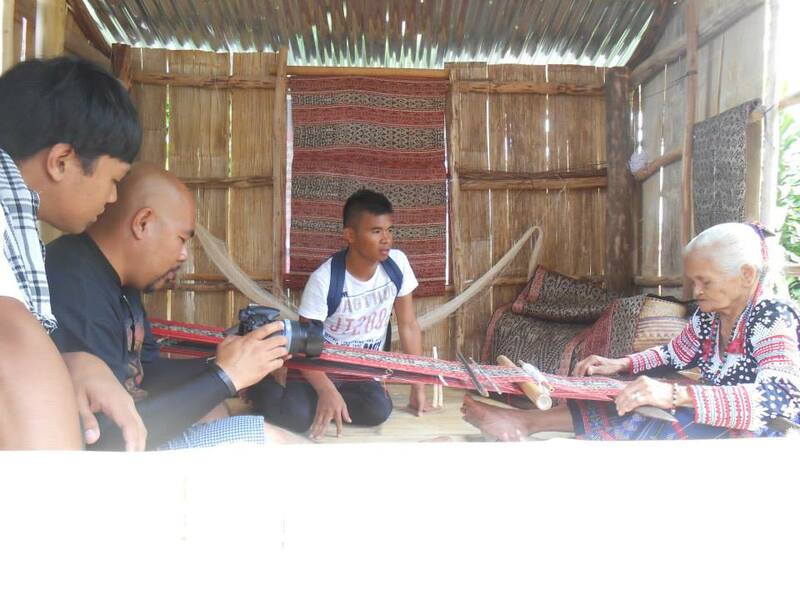 Video taken by Cocoy A. Sexcion during the "Mabal Blaan:Weaving the Threads of Heritage" exhibit at SM Events Center, General Santos City featuring Fu Yabing Masalon Dulo and Fu Gusiye Buan, two known living masters of the Mabal Tabih. Back in 2009, Fu Yabing was one of the invited weavers for the 2nd ASEAN Textile Symposium in Manila representing Sarangani Province. This Sarangani Tourism video featured part of her Blaan dance performance (look at 1:15 - 1:24 minutes). Visit of Yadu Karu and Batang Polomolok FB Page Admin last Nov. 2, 2014. Click photo for the video .